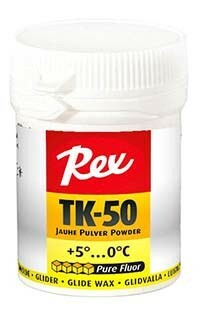 TK-50 is powder for the wettest conditions. This powder is at its best on old and coarse snow. This powder is durable and repels dirt. 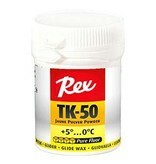 TK-50 Does not contain graphite or molybdene. We recommend using something like HF11 Yellow for base wax.